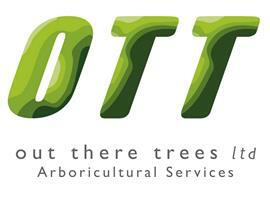 Out There Trees Ltd - Garden Services, Tree Surgeon based in Ottershaw, Surrey. Out There Trees Ltd. was started in 2003 by Peter Goddard and has since grown into a dedicated team of arborists (tree surgeons), groundsmen and office staff. Based in Ottershaw, Surrey, we cover a wide area of the home counties and South London and work with both domestic and corporate clients - no job is too big or too small for us to carry out, and each is treated with the same level of care and attention to detail. Tree felling, reductions, pruning, pollarding, crown lifting/reduction/thinning, hedge trimming, replanting, dead wood removal, soil aeration/airspading and stump grinding. Emergency call-outs. Logs delivered. We can manage TPO applications for clients and provide tree risk assessment reports and tree surveys. Berkshire, Hampshire, Middlesex, South-West London, Surrey, West London.